Today’s throwback Thursday photograph shows Baldwin Street at the intersection of East Water Street in Elmira, New York, from around the turn of the 20th century. The photo was taken by Charles Van Aken, a photographer from Elmira. Today, a large collection of Van Aken’s original glass plate negatives are preserved by the Chemung County Historical Society at their museum and research library in Elmira. 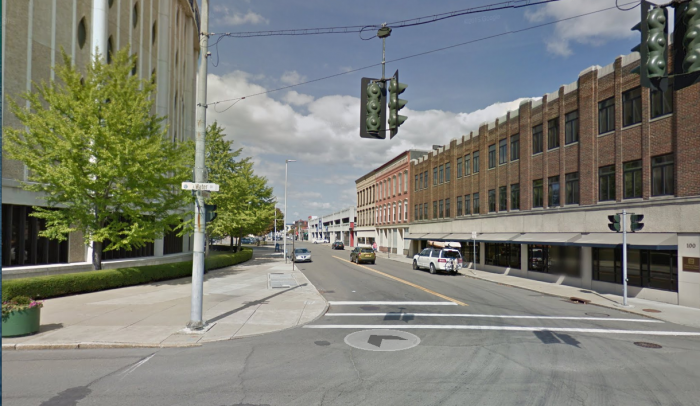 Van Aken took another photo of the same intersection a few years after the first. 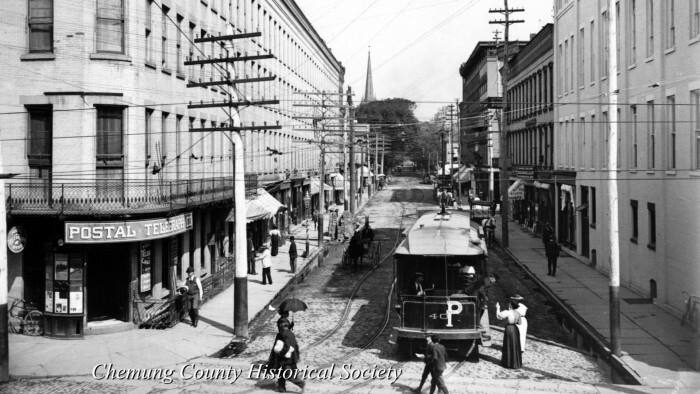 A comparison of the two photos gives us a glimpse at some of the changes taking place in Elmira at the turn of the 20th century – most notably the addition of the trolly line. Finally, here is what the same area looks like today.